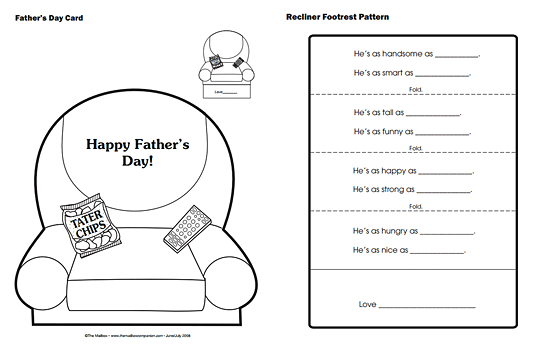 I have some Father's Day freebies for you. And I'm actually posting these in good time because I thought Father's Day was THIS weekend. I had my kids madly making their books yesterday, then got home and realized I was a week early. Silly me ~ lucky you! Click the image above to grab this package. You'll get the version below, plus the same one for Grandpas. I also found this card from an old issue of Mailbox Magazine. 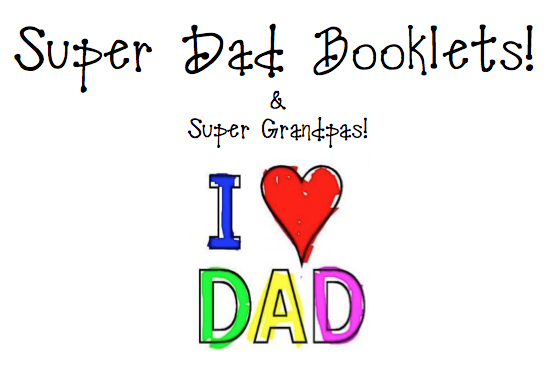 We're going to make this next week to go along with our Super Dad booklets! 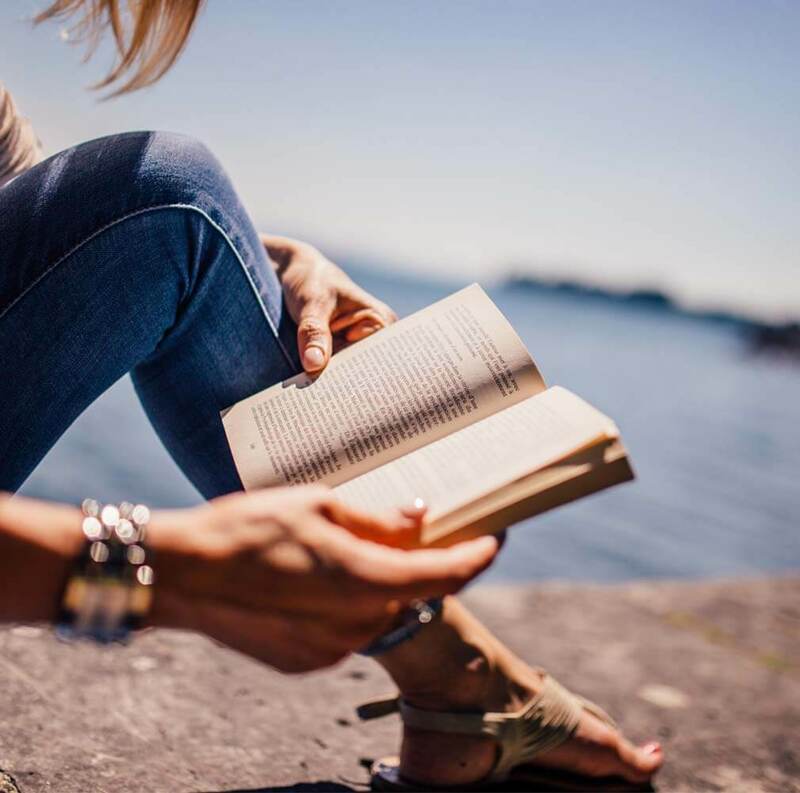 Click the image to grab. 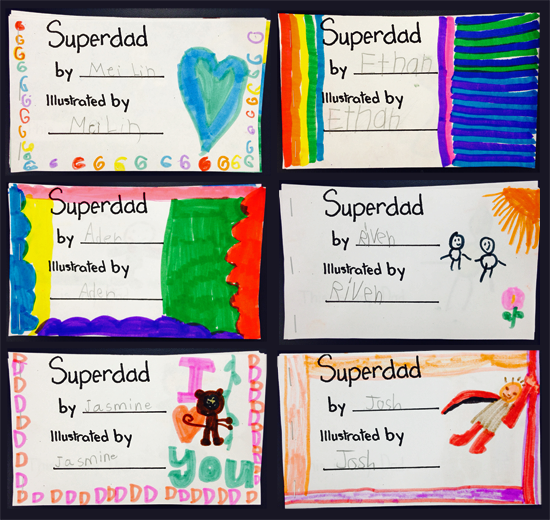 Love the picture of the "super dad", cape and all. I love asking my kids questions about their dads. They come up with some sweet and sometimes funny answers.